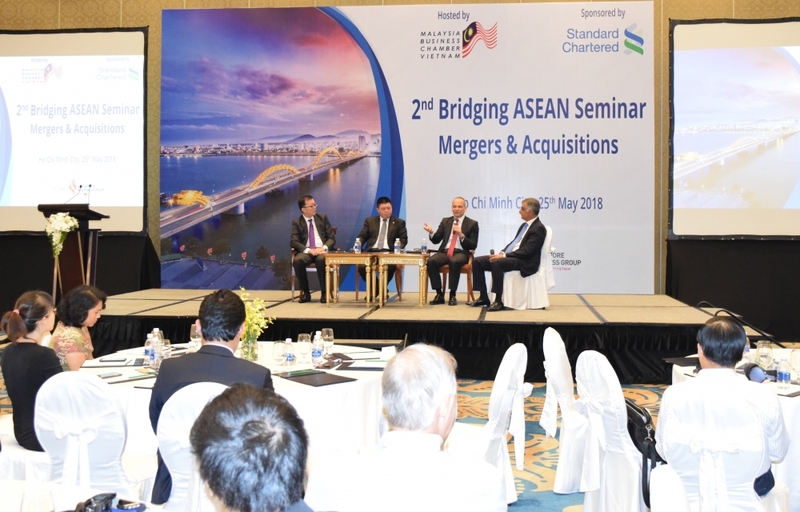 (VEN) - Standard Chartered Bank, in collaboration with the Malaysia Business Chamber Vietnam and Singapore Business Group, organised the ASEAN Mergers and Acquisitions (M&A) seminar in Ho Chi Minh City on May 25, drawing over 100 representatives from Asia and local businesses. Theng Bee Han, President of Malaysia Business Chamber said: “ASEAN is currently the World's sixth largest economic bloc with an estimated population of 650 million. It is a major global hub of manufacturing and trade, as well as one of the fastest growing consumer markets in the World. M&A activity is increasing in Southeast Asia and Greater Asia, capitalising on the investment boom in the emerging markets of the region. We, the Malaysia Business Chamber Vietnam, are pleased to partner with Standard Chartered Bank again this year to organise this seminar for our members and other business chambers. We are supportive of the bank’s aspiration to assist ASEAN companies as their operations evolve and grow more complex, so do their corporate finance needs”. Standard Chartered experts speaking at the seminar included Edward Lee, Chief Economist for ASEAN & South Asia, Ralf Pilarczyk, Head of M&A for ASEAN, and Tina Tejwaney, Director of M&A for ASEAN. Ralf and Tina provided their views on M&A trends and themes in ASEAN, including in Vietnam. They showcased how Standard Chartered is working with its clients when handling complex, high profile, cross-border investments, acquisitions and divestitures. At the seminar Edward shared the key findings from the bank’s latest Global Focus publication: Uncomfortably optimistic. He was positive on global growth but cautioned on rising tail risks. The economic outlook for ASEAN looks bright and proactive government investment in infrastructure projects will help boost growth in the short- and medium-term. Nirukt Sapru, CEO Vietnam and ASEAN and South Asia Cluster Markets, Standard Chartered Bank, said: “In our 150 years in ASEAN, we have developed an unrivalled knowledge of each market, and grown our network to be the only international bank operating in all 10 ASEAN markets. This, combined with our on-the-ground experience in advising companies in acquisitions and divestitures, puts us in an ideal position to provide clients with highly innovative ideas and solutions to help them achieve their strategic goals”. With a unique geographic footprint in emerging markets, Standard Chartered Bank provides extensive advice on cross-border M&A transactions in Asia, Africa and the Middle East. The Bank’s product strengths range from buy/sell side advisory and private placements (equity/debt) to leveraged buyouts and fixed-income financing. It offers tailor-made financing solutions and aims to be a one-stop shop for its clients’ M&A needs. It also advises on privatisations and provides business valuation and independent fairness reviews. 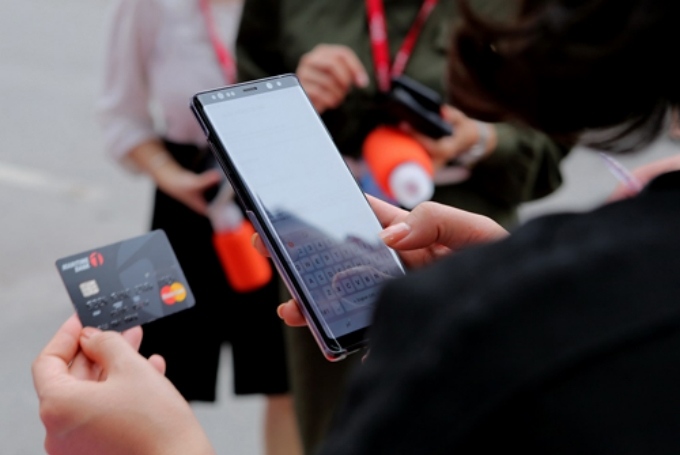 Last year, Standard Chartered acted as the Placement Agent and the only bank involved in the inaugural VND-denominated bond issuance of Mobile World Group, the leading Vietnamese mobile phone retailer. The bank played a pivotal role throughout the execution process by coordinating the communication between the Issuer, the Guarantor, legal counsels and investors.